I have recently read how awful soy formula is for kids. My son was on it due to a milk allergy and my not being educated on other options for him. I have read that it lowers babies’ testosterone level. Is this true? Is there anything that I can do to reverse this, or is it too late and irreversible? 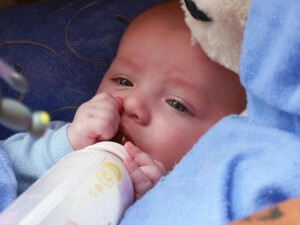 There is also good information on bottle feeding in general here: Bottlefeeding Tips. You can read about soy formula in particular here: Soy Formulas? Please don’t judge yourself or worry overly much about irreversible damage. This is a subject that is still so controversial and unknown that there is no way to claim for sure that anything has happened to injure your son. It is great to study and do your research, but in the end trust that you will always do the best that you know to do for your son and that is all you can do. As a formula-feeding mom myself, I could have been brought down to my knees constantly by all of the anti-formula information that is out there (particularly in the AP community, which I consider myself to be part of). However, I do know that I’ve considered my choices and researched and in the end owned them as mine. While I am a complete and total advocate for breastfeeding and wish I had known more when my daughter was first born to be able to succeed with it, I also don’t believe that I’ve irreparably damaged her – and I don’t want you to believe that about your son, either! In general, it is very rare for babies to have a true milk allergy, so the switch to soy formula should only be made as advised by a doctor (and if your doctor has advised it, you may want to get a second opinion to confirm it). Many babies have been reared on soy formula with no ill effects, although it has potential to create a soy allergy later on for the child. If you do choose to consume soy again at any point, my personal recommendation is to go with organic and unrefined wherever possible. Soy is one of the most genetically modified crops in existence, so the only way to avoid that is to go organic (or avoid it altogether; also, check ingredients lists, because soy is used as a filler in many processed foods). As for raising testosterone that was formerly depleted, most of the places I was able to find information were more for adults, but in general they seemed to indicate that the best options would be exercise, healthy food, and adequate sleep. You may want to discuss the idea with your doctor or consult a naturopath or even a chiropractor, but in all likelihood your son will be fine (although please remember I am in no way a medical professional). Seonaid: I hear two questions here, one about science, and one about parenting. I am pleased to say that I am comfortable offering reassurance on both of them. More specifically, they found that, even though the concentrations of the isoflavones are high in the blood and urine of the babies who are eating soy forumla, a) they don’t seem to have very much biological impact2, and b) they don’t accumulate, so when you stop feeding the soy, it leaves the body quite quickly. The authors of most of the studies still recommend precaution and suggest that you not feed soy formula if something else will do, but nothing I read would cause me any concern about long-term impacts in a particular baby. (I will point out that soy formula is a known problem for babies with congenital hypothyroidism, so that is an exception to the general rule.) So there’s my science answer. Now, my mom answer goes like this: Deep breath. You’re doing fine. You have to feed your babies something, and you have to make those decisions with less than complete information, when you are tired and stressed and getting the hang of things. To then also have to deal with food allergies just throws one more level of stress into the mix. Try not to be hard on yourself on top of all of that. I’m afraid that I speak from experience, having spent several years feeling guilt for every decision I made with my first child (particularly with respect to feeding), even the ones that were essentially unavoidable. Let me invite you to take that deep breath, say, “I’m doing the best I can,” and then move forward with the next stages. You, yourself, as much as your children, deserve your own gentleness. If you want to read more about my experiences with breastfeeding and not breastfeeding, I have two posts on my blog that deal with it explicitly, one of which is about the whole idea of risk. The other one is titled (somewhat bleakly, I admit) Not Really Breastfeeding. If you don’t think those will help you right now, don’t worry about them. Have fun with that baby! Kristin: I am so sorry you’re having concerns about your son’s health! First off, know that you of course made the best decision you could at the time given the information you had, just as any mother does! So many of us moms find ourselves regretting choices we made when our children were younger – be it birth choices, circumcision, feeding, discipline, or health decisions – and while some amount of reflection is good, beating yourself up about it never is! Health information and recommendations often change as time passes (sometimes quite drastically! ), new studies come out, and you as a mother become more aware or educated about certain things. You cannot change the past, but you can reflect on it, share your story if you wish, and make changes for your family’s future. As for soy formula, it seems to me the information out there is still very vague and mixed, mostly due to lack of study. The National Institute of Health gives an overview of the concerns and their expert panel’s decision: that they had minimal concern of the adverse affects of soy formula. In the AAP’s current report on the issue, they note the concerns about the effects of phytoestrogens on adults and children/infants, but state that there is no conclusive evidence that they would adversely affect humans. Most helpful for me was this article, Few Babies Need Soy Formula, where a Harvard MD discusses the AAP recommendations, noting that we need more information and study on soy and that except in very rare instances, breastfeeding or a hydrolyzed protein formula is better for babies with an allergy or intolerance to milk. While I did breastfeed as well, all three of my kids also needed supplementation due to my low milk supply. We had big concerns about the possibility of cow milk allergy, since my husband has a severe dairy allergy himself. At the advice of a pediatric allergist, we chose one of the hydrolyzed protein formulas (widely available at grocery stores) for preventive measures. While these formulas do have dairy in them, they are broken down so that most babies with milk protein allergies do not react to them. Since then, there have been studies that show these preventive measures were probably not necessary for us, but we went with the information we had at the time! For those facing this issue right now, I also know many, many breastfeeding mothers who have had trouble with their children reacting to dairy in their breastmilk, and who have had great success in eliminating all dairy in their own diet to solve the problem and allow breastfeeding to continue. 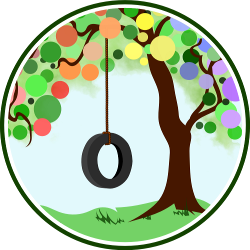 You can find great resources for this at Kellymom.com or by contacting your local La Leche League leader, as well as many great dairy-free (and soy-free) blogs and websites to help you rework your diet! My own middle-of-the-road philosophy has been to avoid large amounts of soy with my kids now (particularly soy milk and processed foods with soy), but to not worry too much about our past (as a toddler my oldest drank soy milk) or avoid it entirely; as a family we eat tofu and edamame occasionally but not a ton. If you search online, you will find many alternative medicine sites that offer more radical elimination or detoxification suggestions, if you are interested in pursuing that. If you are still concerned, I suggest asking your doctor or alternative medicine practitioner for advice and recommendations. Good luck! I appreciate how supportive you were able to be to the question asker and hope this has eased some of her fears. I was given soy for the first 6 mos of my life. My mom said all I did was puke and finally they gave me 2% and I was fine. 33 years later I have never had a period and am infertile. As far as doctors can tell, my reproductive system just never developed after an infant state. There is no history of such problems in my family, I check out perfectly normal health wise, am normal weight, and all my hormone and thyroid stuff came back normal. After exhausting all possibilities, my doctors agree it is because of being on soy for my first 6 mos of life. This is just me, but know this can happen. I’m fine, but I have no relationships because I don’t know what I would tell someone and I find it hard to really relate to other women on a womanly level because I don’t go through the same things most women experience. I just live life and try to forget about it, but sometimes it makes me sad. Only my closest friends know, but it bothers me a lot. Please don’t let your lack of menses or ability to have babies keep you from seeking a partner in life, or other relationships……you are more than your ability to reproduce or slough off old eggs. I’m sure you are a wonderful person and have much to offer! Hi, I need helps on my son current issues. He is facing constipation right now as he told me that his stomach is not feeling well all the time and no appetite. I’m quite worry. I hope anyone here able to suggest to me what sort of formulas can prevent constipation issue. Thank you. Our 3rd son was fed soy formula for awhile. He’s now almost 13 and about 2 years ago – when the changes begin happening inside – we noticed he started putting on weight with no change in eating or activity. He has had what I consider slow growth rate, he’s overweight compared to the rest of our kids, and his private parts have not grown like they should have for his age. Just yesterday we discovered he has thyroid issues probably Hashimotos tyroiditis. The delayed puberty, stunted genital growth and stunted height are all symptoms of boys who’ve been fed soy formula. LH/FSH levels are below where they should be for his age. He’s the only one of our 5 kids who had soy and he’s the only one who’s had one issue after another. I’m sick and heartbroken.